Yesterday midnight while everyone was retiring to bed ,thanks to the empowering of technology I was flipping through my phone checking my contacts. Suddenly , Hosiah Chipanga appears in my chats. I didn't waste much time I called him .The network connection was a bit inconviencing hence I resorted to his whats-app inbox, within a couple minutes the Kwachukwachu icon responded. We started our conservation which lasted for about an hour.I first asked him to tell Zimbabweans who is the man behind the Hosiah Chipanga on tv. 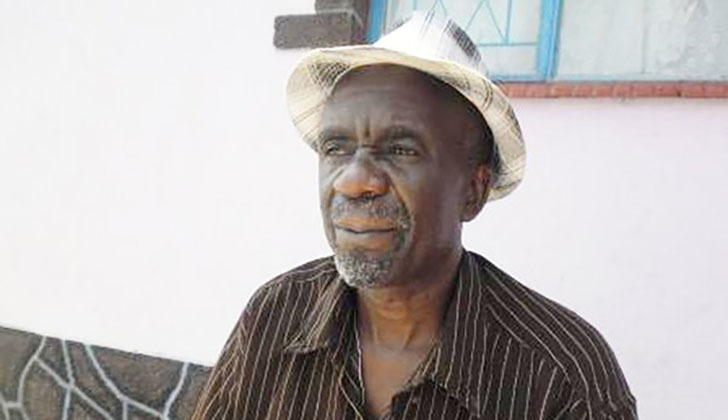 These were his words ,"Hosiah Chipanga is great a musician in Zimbabwe ,I started music career when Zimbabwe attained independence and i will not stop as long my spirit,soul and body is still together." Hosiah is known for his comic and satirical lyrics that focus on social commentary and Sungura maestro. His head butting dance stole the wave during 2005 until now even in the modern Pentecost churches you can see them belting the dance. Since 1982, Chipanga has been fronting the band Broadway Sounds which he changed to Vaparidzi Veshoko in 2007. Over the years Chipanga has belted out hit singles that include; Kwachu Kwachu, Gushungo, Zipe Nhuwa, Ndafunga Zano among many others. The Sungura maestro has promised his fans fireworks that very soon is releasing a new album entitled Gumi Remitemo YaMwari Yakazara (The Ten Comandments Of God. Hosiah emphasized that his music is not for his followers to dance and enjoy themselves but to hear the message in it from their creator. He also said ," I don't sing political lyrics but my songs are inspired by the Holy Spirit to give guidance on what God is saying to His people and I am an evangelist through my music." To Hosiah Chipanga's followers the Kwachu Kwachu veteran hasn't forgotten you .